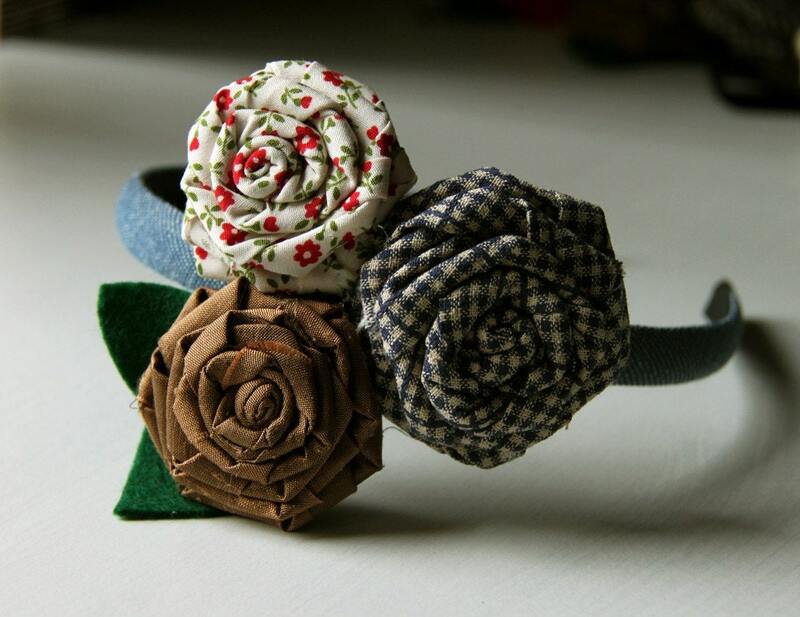 This country style headband is made with a denium wrapped band, adorned with three pretty handmade fray roses. 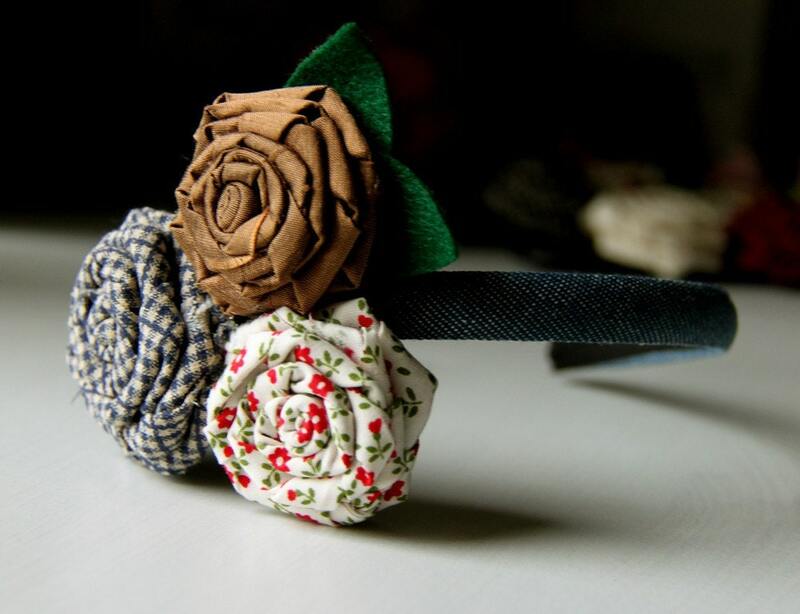 THe materials used for the roses are high quality Japanese cotton and Indian silk. Felt leaves are added to enhance the look. For 4 year olds and above. Overseas postage: Please email me for details.